Spring is here, the summer season is rapidly approaching and the paint is drying on our fabulous paint refit projects in the shipyard! Sneak previews below. Heading back over from the Caribbean? Call now for any maintenance needs on arrival or berth availability, just 45 miles from Ibiza! M/Y FIGI - at 30m, this super sleek, 2005 Couach built superyacht strolled into our shipyard this winter aboard our very busy travel lift. As well as general maintenance, she has been under the expert eye of our paint partners "BenyMar Yacht Paint" who have certainly excelled themselves in the application of a fabulously vibrant, electric red colour that is emerging from the refit. Complete with trademark #Awlgrip shine, we look forward to revealing her new look out in the open! M/Y BELLA NAVETTA - meanwhile, this 31m superyacht has completely changed her look, ditching the dark red for a more traditional white. An excellent job once again by "BenyMar Yacht Paint". She also hitched a ride aboard our 150GT travel lift onto the dry dock and with new zero speed stabilisers and general maintenance complete, we look forward to showcasing M/Y Bella Navetta's exquisite new look! M/Y IL SOLE - this 45m Benetti classic superyacht has been on the slipway this winter enjoying a thorough refit. In addition to a full paint refit, we can reveal that she has been undergoing a gold star makeover inside as well. Above you can see gold leaf being applied to the celing panels belonging to the main salon. The whole ceiling is now gold! We look forward to revealing her new looks, both inside and out, on the Med this season. As the winter season in the Caribbean draws to a close, many Superyacht Owners and Captains will be deciding their itineries once they cross over to Europe for the Mediterranean summer season. Depending on charter or owner requests, each will have their own destinations in mind. So, why not consider Denia as a possible stopover or base? If you are heading to the Med, you'll pass right in front of us anyway! 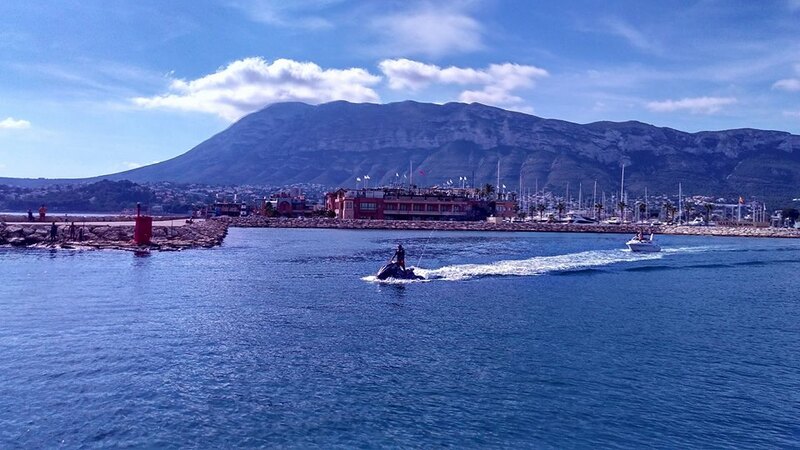 Port Denia can offer berths for superyachts of 30, 40, 60 and up to 130 metre LOA, whilst our fully equipped shipyard (haul out 1200 GT) is conveniently situated right opposite the berths for any work that needs doing in preparation for the season. Just 45 miles from Ibiza, we are an ideal base for visiting Formentera and Ibiza! 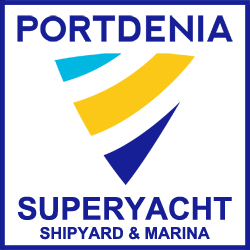 SPRING SHOWS - Port Denia is pleased to confirm that we will once again be exhibiting at the MYBA Charter Show in Barcelona this year. The show runs from the 23rd to the 26th of April and you can visit us on Stand number 13. We will also be present at the Palma Superyacht Show again this year, so just send us a message to arrange an appointment and we'll be glad to meet up with you to discuss your future superyacht requirements. The Show runs from the 27th April until the 1st May. See you there! 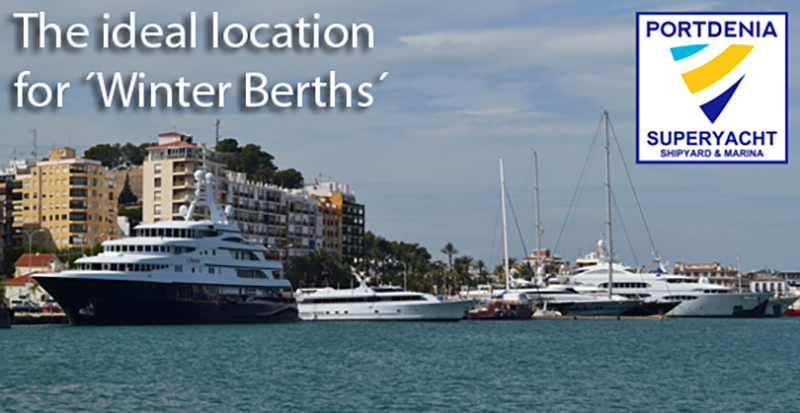 +34 965 780146 or email info@portdenia.com and they will be pleased to assist you. This e-mail has been sent to , click here to unsubscribe.